Why Do Dogs Foam at The Mouth After Licking a Frog? Why do dogs foam at the mouth after licking a frog? In fairy-tale stories, kissing a frog makes it turn into prince, but when it comes to dogs, kissing the wrong type of toad may lead to foaming at the mouth, and in some cases, even death. If your yard provides a good habitat for frogs and toads, and your dog comes back from the yard one day foaming at the mouth, take the issue seriously. Why do dogs foam at the mouth after licking a frog? 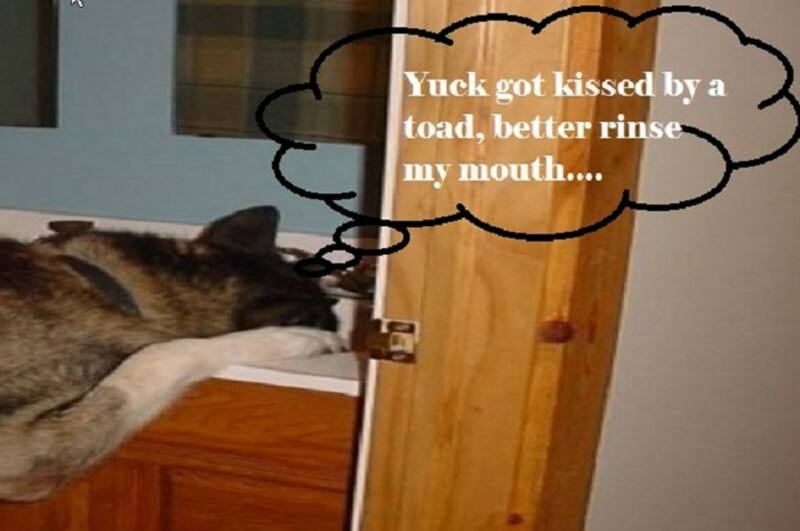 In fairy-tale stories, kissing a frog makes it turn into prince, but when it comes to dogs, kissing the wrong type of toad may lead to foaming at the mouth, and in some cases, even death. If your yard provides a good habitat for frogs and toads, and your dog comes back from the yard one day foaming at the mouth, take the issue seriously. Turns out, depending on where you live, your dog may have encountered a type of toad that is poisonous. Is that critter that leaps a frog or a toad? Often both terms are used interchangeably, but there are some differences that set these amphibians apart. According to the University of Michigan Museum of Zoology, there is no scientific distinction between "frogs" and "toads" as they both belong to the anura order. However, according to Maryland Zoo, frogs are members of the ranidae family; whereas, toads are members of the bufonidae family. How can we tell them apart though? Frogs are for the most part aquatic or semiaquatic and they have smooth, sort of slimy moist skin. Frogs like moisture so they tend to hang around ponds and marshes. The have strong and long hind legs and webbed feet that help them leap and swim. Toads on the other hand, are terrestrial and they have dry, warty skin adapted for drier climates. Toads may be found in a variety of environments, from arid areas to rainforests. Unlike frogs, toads have short hind legs that are more suitable for walking versus serious hopping. While there are many species of poisonous frogs who advertise their toxicity with bright colours, dogs are more likely to encounter toads as the majority of poisonous frogs are likely to be found in tropical rainforests. Toads release toxins from their skin and some even have special poison glands (parotoid glands) in the back of their heads and other parts of their bodies. When toads feel stressed, their skin may excrete mild toxins or, in the case of the poisonous toads, their poison glands may excrete a milky, alkaloid substance known as bufotoxin which acts as a neurotoxin. These toxins are made so to make the toad slippery to hold onto and unpalatable to predators. Two types of toads are known for their poisonous effects. The giant toad, also known as the marine toad or cane toad (bufo marinus) is found in south Texas, Hawaii and southern Florida. According to the University of Florida, its secretions are known for burning the eyes and irritating the skin and they're even capable of killing cats and dogs who ingest it. 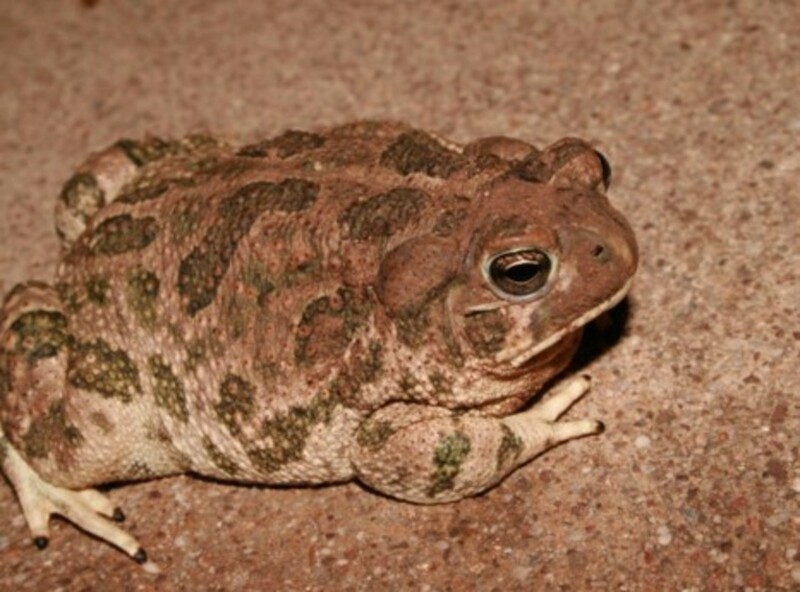 The other troublesome toad is the Sonoran desert toad also known as the Colorado River Toad (bufo alvarius). This toad is found in southeastern California, New Mexico, Mexico and most of southern Arizona. Dogs are particularly drawn to frogs and toads because they trigger a dog's predatory drive. Several types of frogs and some toads secrete mild toxins from their skin which are irritating to the mucosa of the dog's mouth. This irritation causes dogs to drool and sometimes even vomit, explains veterinarian Dr. Matt. The bitter taste of these mild toxins is meant to discourage animals from picking them up so they're dropped at once and they can escape, claims veterinarian Dr. Scott Nimmo. However, the poisonous cane toad and the Colorado toad can cause much more damage than local irritation to the dog's mouth, so if you happen to live in southern part of the United States, it's important keeping a watchful eye for symptoms such as trouble breathing, an elevated temperature, an abnormal heart rhythm ( with heart rates even exceeding 260 bpm) and neurological signs such as dilated pupils, loss of coordination and convulsions. Also, keep an eye on the gums which typically turn brick red, according to the Pet Poison Helpline. Drooling, retching and vomiting are often seen immediately, generally within 30 minutes of exposure. Cardiac signs may show up as early as 15 minutes but there have been reports of them showing even up to 4 hours later, explains veterinarian Jarrod Butler with the ASPCA Animal Poison Control Center. Did you know? There are anecdotal reports of dogs developing gastrointestinal problems and cardiac arrhythmias after drinking water from bowls where Bufo species have been seen sitting for extended periods, further explains veterinarian Jarrod Butler.